0 Be the first to review this product! 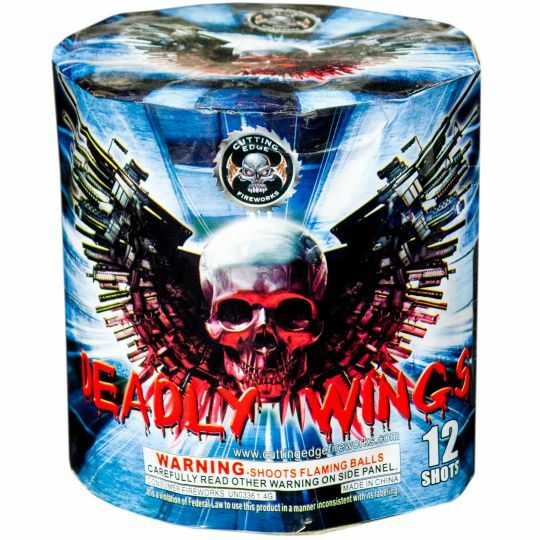 Deadly Wings features 12 shots of crackling tails that break into alternating red and green palms with chrysanthemum crackle. It finishes up with a three-shot finale.